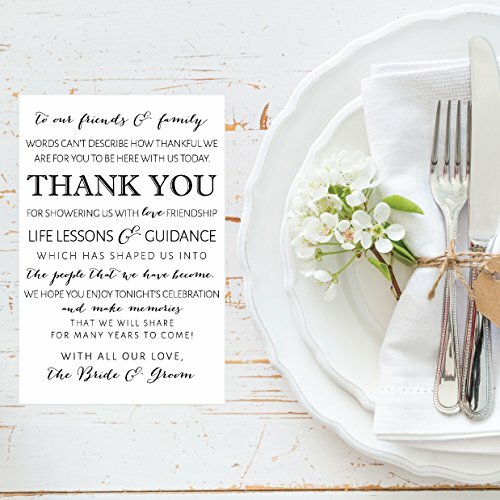 COMPLETE EACH PLACE SETTING: These unique cards fit nicely onto a plate, and leave a great first impression when guests sit down for dinner! 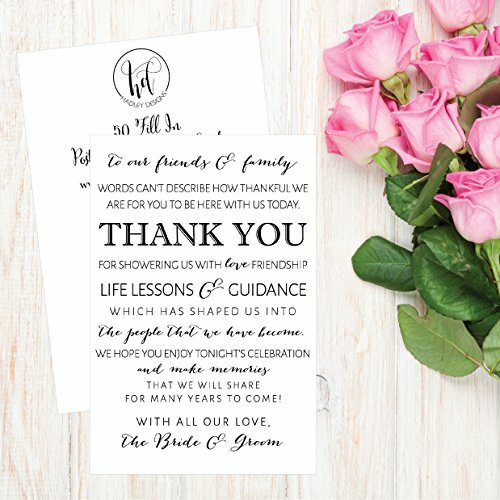 EXPRESS GRATITUDE TO YOUR GUESTS: A thank you card at each place seating is a very thoughtful way to ensure each guest knows how appreciative you are for their attendance at your wedding or event. 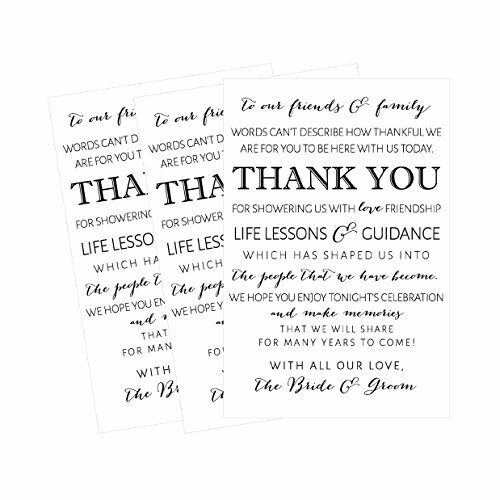 IMPRESS YOUR GUESTS: These beautiful thank you place setting cards will help your guests always remember your big day. 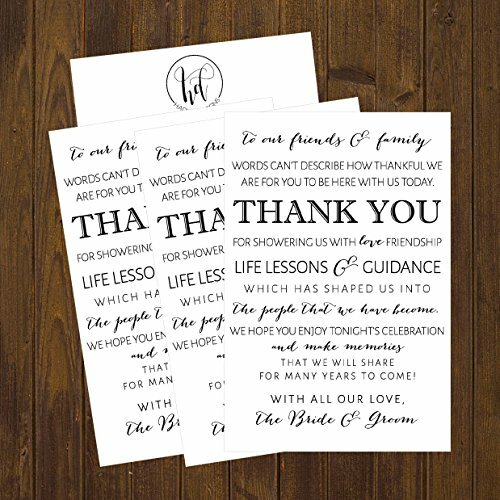 PERFECT SIZE TO FIT ON PLATES: The 4x6 size of these cards allows them to fit perfectly on a plate! 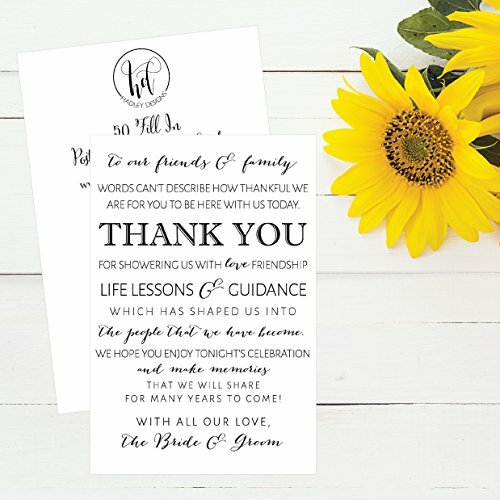 Not too big and not too small!